Ajax Newsletter Magento 2 extension helps your customer/visitors to subscribe newsletter on site without page refresh. 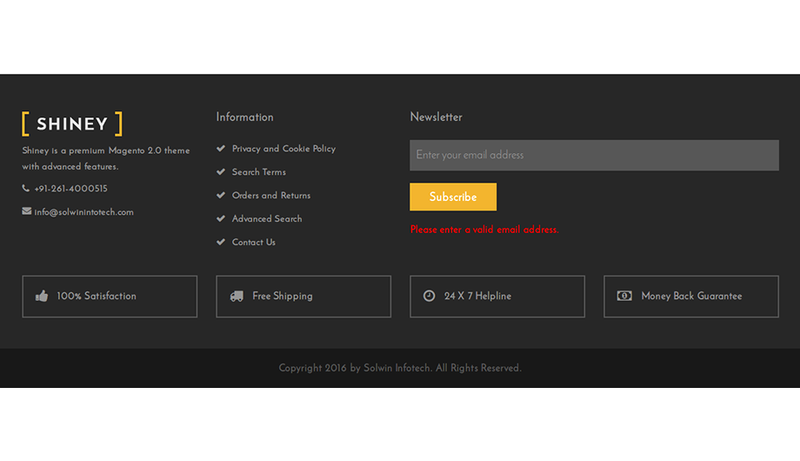 Normally when customers subscribe an email, the website will be reloaded. It is not convenient. So that to tackle this problem we provide Ajax Newsletter extension. Get more orders and more newsletter subscribers with your eCommerce store. Show social links on Newsletter Popup to engage your customer with offers. Set cookie expiration time (In days) to avoid/hide newsletter for users. Set Scrollable newsletter popup option to animate your newsletter block. Fantastic extension if you would like to improve subscription effect on Magento 2. The default functionality confirmation is so plain and it give a subscription confirmation message at the top of the page which is not really user friendly . We have purchased the extension and ran in into the issue because we are using custom theme but the team support was amazingly quick, they have fix it for us and it works beautiful. Thank you for a great product and support. Download the Ajax Newsletter extension .ZIP file from solwininfotech.com using your Solwin Infotech website account. If you are using Magento 2.0.x then you need to extract solwin-ajaxnewsletter-m2-2.0.x.zip file. If you are using Magento 2.1.x then you need to extract solwin-ajaxnewsletter-m2-2.1.x.zip file. If you are using Magento 2.2.x then you need to extract solwin-ajaxnewsletter-m2-2.2.x.zip file. If you are using Magento 2.3.x then you need to extract solwin-ajaxnewsletter-m2-2.3.x.zip file. If you are using Magento 2.1.x then you need to extract solwin-ajaxnewsletter-m2-EE-2.1.x.zip file. If you are using Magento 2.2.x then you need to extract solwin-ajaxnewsletter-m2-EE-2.2.x.zip file. Now, you can see the Solwin menu in admin panel. 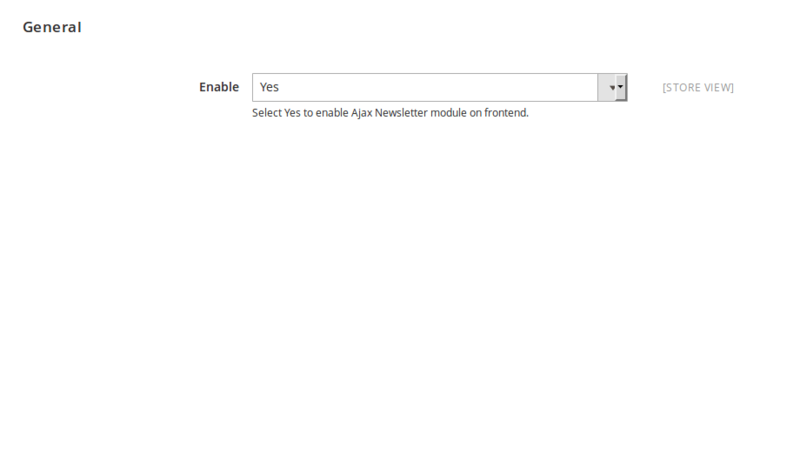 Please go to Solwin -> Ajax Newsletter -> Configuration and select Enable to Yes. Added Compatibility for Magento 2.3.